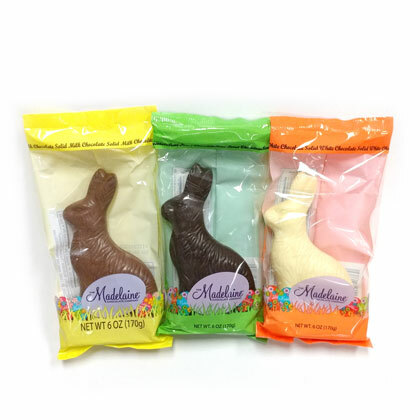 Solid, premium chocolate sitting rabbit in milk, white and dark. 6 oz. Approx. 5.5 inches tall. OU Kosher Dairy.